Welcome to the final beta edition of Axios Markets — Dion Rabouin and Courtenay Brown take the reins next week, in your inbox daily starting Jan. 7. Your friends can sign up here. The issues that whipsawed stocks in 2018 — namely trade and the Fed — aren't going anywhere this year, leaving few catalysts to push stocks to new highs, Courtenay writes. The big picture: Analysts overwhelmingly predict the historic bull run has at least one more year to go. The analysts who cut their expectations say they did so because of recent market volatility. 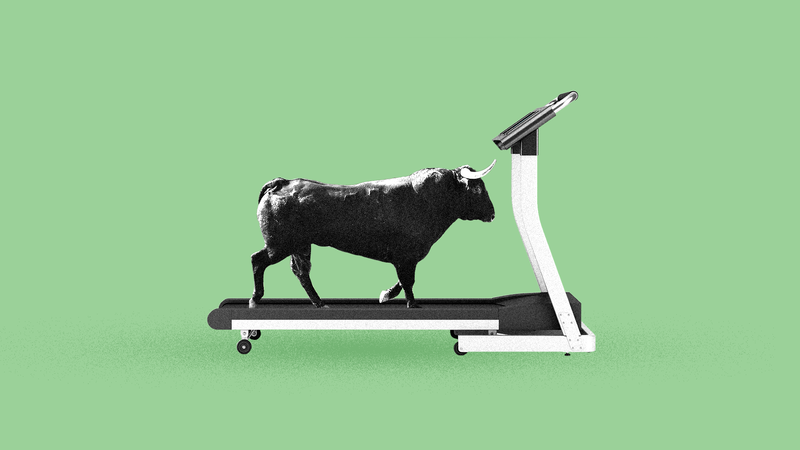 "The world’s largest banks and money managers are gearing up for the last hurrah of one of the longest bull markets in history," Bloomberg writes. Wall Street outlooks reviewed by Axios say that though the U.S.-China trade war is the crucial factor for stocks, almost all feel good about the likelihood of a deal, despite the unpredictable nature of the trade conflict. A continuing trade war would hit CEO confidence and create more uncertainty for capital expenditure plans. And thanks to dwindling impact from the corporate tax cut, earnings growth is expected to fall to 8% from 20% this year. Add an escalation of the trade war and there will be no earnings growth next year, UBS strategist Keith Parker predicts. The Fed may back off on hiking interest rates as quickly as previously planned, but the central bank will continue on the tightening path and won't revert to easing — despite what traders are betting. As Dion notes, Powell's thinking may have shifted after the bleak performance of equity markets in December. But if the economic data remains solid, it's unclear how much further equities will have to fall in order to see the Fed really dial back its hawkish stance. An added Fed wildcard will be this year brings more press conferences, and thus more chances for Fed chair Jerome Powell to spook the markets. Or, if we're being optimistic, give the market more opportunity to adapt to Powell's communication style. What to watch: We'll get some clue about how the biggest issues for the market may play out early in the year: Trade talks kick off within the next few days, and the Fed holds a two-day meeting and faces reporters in late January. #Breaking: The Dow opened the year by falling as many as 398 points (but rallied to be down around 50 by mid-day). It's the first trading day of the year! In just the first hour of trading, the S&P 500 fell 0.82%. That also means that after an hour the S&P 500 was down 0.82% YTD. There are about 1,640 trading hours in the day, which means that on an annualized basis, the S&P is down, um... 99.99986%. As we head into an arbitrary new year, then, it's worth being aware of some of the other arbitrary conventions that govern a lot of talk about markets, Axios' Felix Salmon writes. Measures of time. While YTD is probably the weirdest measure of time, most of the other time measures the market focuses on are also arbitrary. 12 months; 3 months; 1 calendar month; 1 week: None of these correspond to true investment horizons. And then there's the most common one of all, which is 1 day. Market participants, and the media, pay altogether too much attention to single-day moves in stocks and indices. Up is good. In the currency markets, there's debate about whether it's good for the dollar to be expensive. In the stock market, by contrast, there's near unanimity that higher is always better. 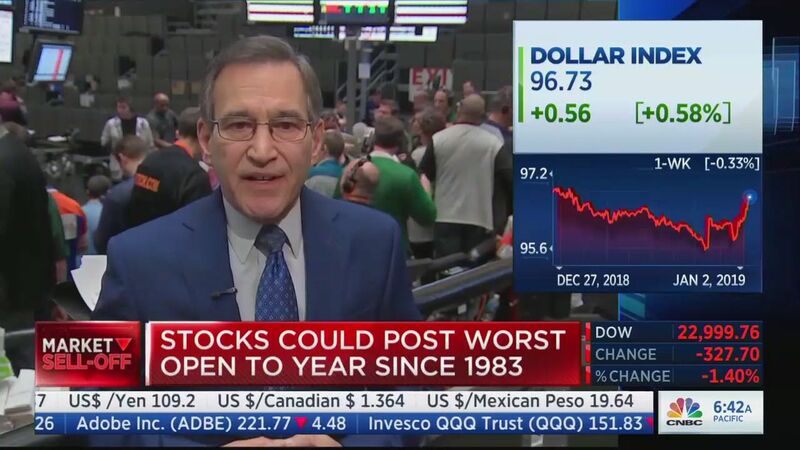 If stocks go up, that's good; if they go down, that's bad. Essentially, everybody's assumed to be a seller rather than a buyer. Ignoring dividends. Over the past 50 years, the level of the S&P 500 has risen by 2,100%. So if you bought a painting in 1968 for $1,000 and it's now worth $45,000, that's up 4,400% and you've doubled the performance of the S&P, right? Wrong. The S&P has been throwing off dividends all that time. If you didn't need income from your painting, you didn't need income from the same money invested in stocks. And if you'd reinvested your dividends, you'd actually be up 9,300% since 1968. The 0% baseline. People really care about whether something has gone up or down, almost more than they care about how much it has moved. If you're up on the [insert arbitrary time period here] that's good; if you're down, that's bad. This is especially true on IPO day, again for no obvious reason. Be smart: Use your own timeframe and judge against benchmarks which are meaningful to your own circumstances. The media can't do that for you. Sign up for Axios Edge, Felix's weekly look-ahead at the stories that will drive the business world, here. For most of 2018, Axios Future Editor Steve LeVine writes that it looked like he had no shot to win his annual bet on the price of oil. Based on a forecast he had seen that supplies would flood the market in the last quarter, his wager was $50.01 a barrel in the annual contest among some two dozen energy analysts, academics and reporters to project Brent's year-end price. That quickly looked ludicrous as, with a superlatively disciplined OPEC-Russia tandem, the price rose rapidly into the $70s-per-barrel and then the $80s. The talk was a return to $100-a-barrel oil. Steve was not thinking victory, but humiliation. Then, abruptly — in October — the mood shifted. The market suddenly noticed that U.S. shale drillers had added almost 2 million barrels of oil a day. The price began to plunge. By Dec. 1, it was under $60, a 30% plummet. Impossibly, he could see it was heading his way — he could win as long as the end-year price was between $49.50 and $53.49. Go deeper: Read how a New Year's Eve rally cost him victory. Sign up for Steve's weekly Axios Future newsletter on innovations in automation, mobility, society, cities, genetics, blockchain and more, here. December jobs data will be released 8:30am Friday. Why it matters: Any sign of a slowdown will be ammunition for those calling on the Fed to hold off on raising rates further this year. House Democrats will raise the debt ceiling automatically when a budget is passed as part of a rules package they'll adopt this week, Susan Davis of NPR reports. Eliminating a standalone vote in the House should make debt default brinkmanship less likely. Tesla cut prices and said it delivered fewer cars than expected in the fourth quarter, though car deliveries grew 8% from the quarter before. Shares fell as much as 9%. David Einhorn's Greenlight Capital posted the worst returns in the hedge fund's history in 2018, CNBC reports. Its main fund finished down 34%, marking yet another dismal year for a firm that's been struggling since 2015. "China seems to be in trouble," the Wall Street Journal's Greg Ip writes after the "China Caixin manufacturing purchasing managers index fell to 49.7 in December ... the first time below 50 since May 2017, suggesting manufacturing is contracting." IPOs could be delayed by the government shutdown continues, Axios' Dan Primack writes. Noted IPO advisor Lise Buyer notes the SEC shutdown "puts the whole filing part of the process on hold." Blackstone CEO Stephen Schwarzman made the New York Post's Page Six with the party he threw to celebrate a $350 million donation to MIT for the study of artificial intelligence. Stephen and wife Christine lit up their 740 Park Ave. pad in late December with laser-flashing, futuristic, dancing power robots firing dry ice from dual machine guns, body-painted bots, and female dancers writhing in tight silver bodysuits with disco balls on their heads. Dion and Courtenay will see you bright and early on Monday!